Now that the Big Game is quickly approaching and our New England team is looking great, I have been in the potential party planning mode. 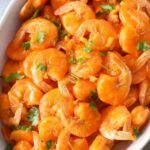 What kind of quick, but yummy foods can I prep ahead of time but still enjoy warm for the game days. 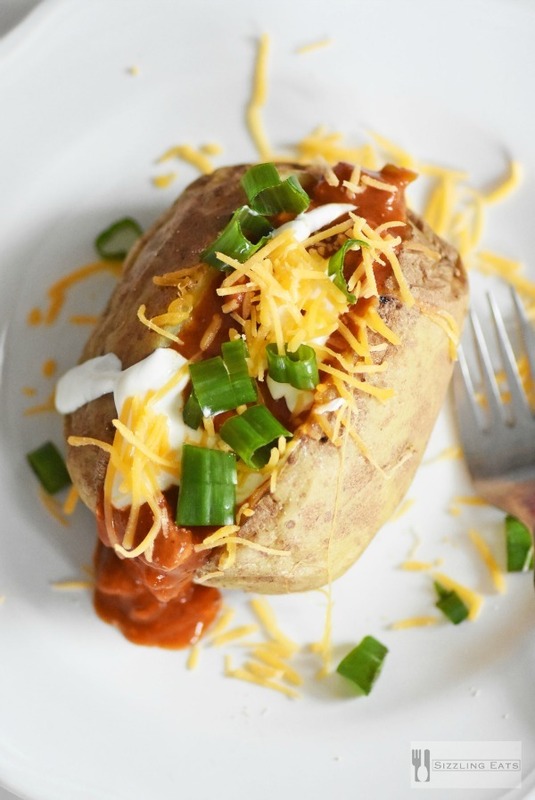 We love spicy and savory foods a bit more than their sweet counterparts so appetizers and meals like these loaded chili baked potatoes were a must! I admit, I have never made my own chili because quite frankly I am not the biggest fan of it. 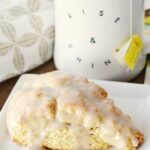 My husband on the other hand could live off of it! 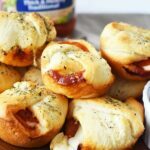 He loves it meaty, spicy and loaded with veggies. If he had his own way, I would make it every day for him because it is one of his top foods. Maybe someday he will luck out with a hot crockpot full of homemade chili, but for now Progresso™ Chili products are doing the trick! Available in 3 flavors, he likes them all but really loves the meaty Smokehouse Pork and Beef Chili with Beans. 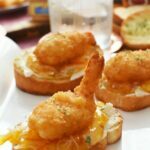 Ready in just 5 1/2 minutes, this is my kids of quick meal, or hearty meal ingredient. 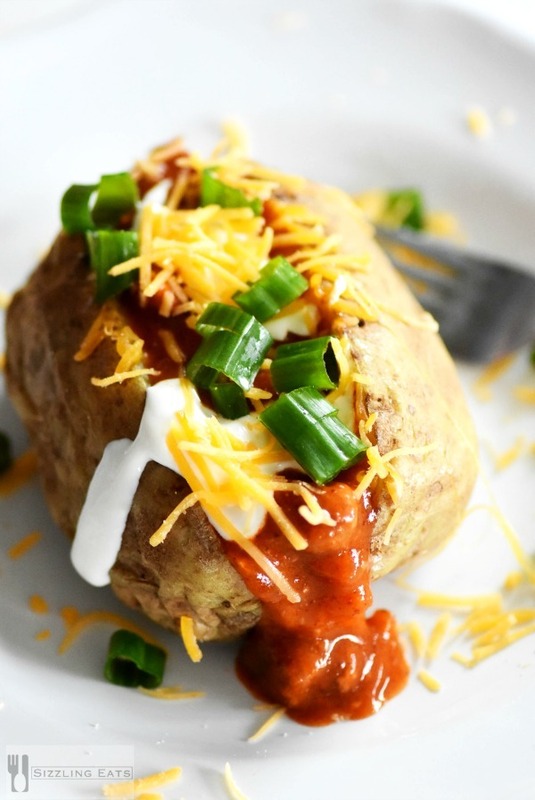 Since baked potatoes are a must in our household, I thought the idea of making loaded chili baked potatoes was ideal. 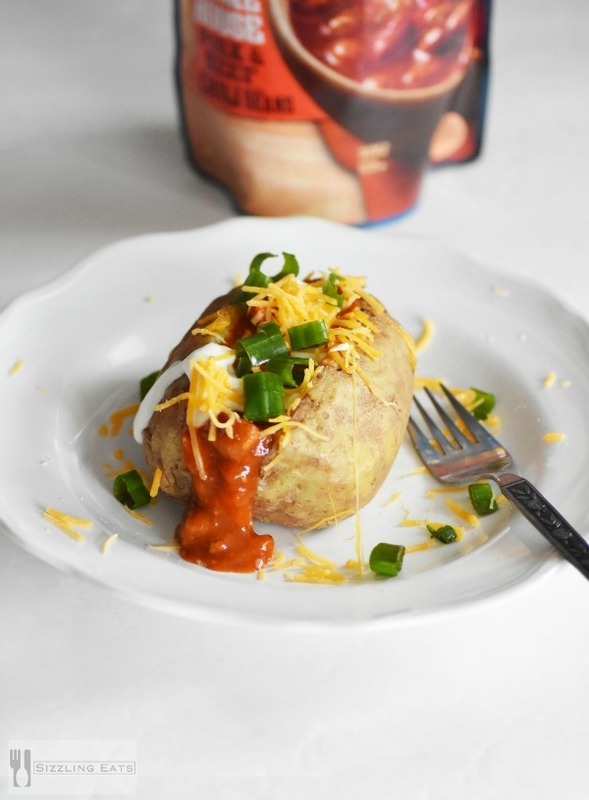 These loaded chili baked potatoes are perfect for the Big Game because they are easy to make, and fun to stuff with toppings like cheese, sour cream, and scallions. Simply bake a batch of russet potatoes, and make a topping bar of sorts for your family or guests to stuff their potatoes with. 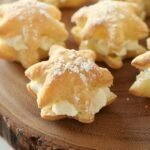 It is fun, easy and they even taste amazing! 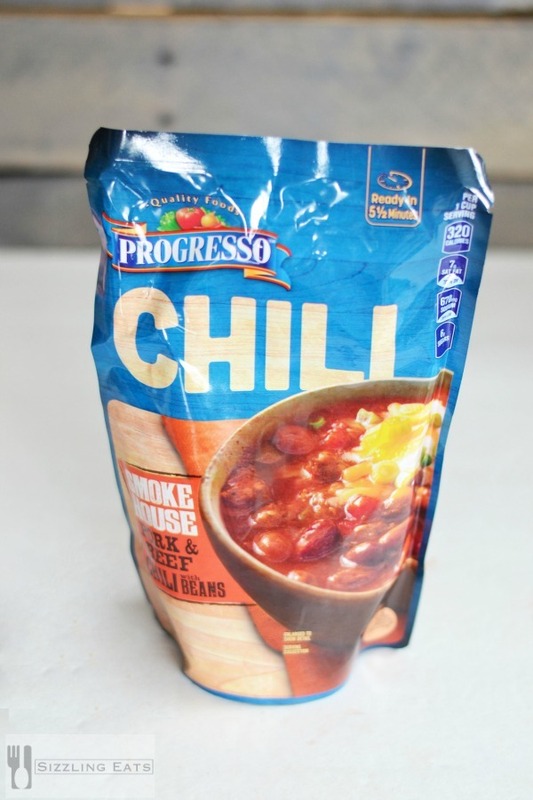 I used Smokehouse Pork and Beef Chili with Beans *Any of the three Progresso™ Chili products would work. 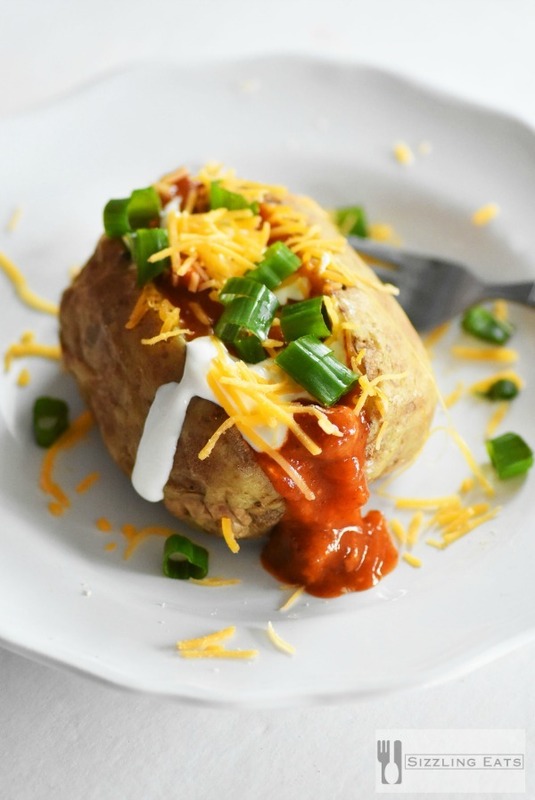 Add toppings are enjoy a hearty and flavorful baked potato. For game days you can make a baked potato bar and add the toppings to bowls to allow guests to customize their potatoes.